Every so often I run into a number of things that I think are interesting and useful but that I don’t feel like I have enough added value to write a whole blog post about each one. This is one such week. 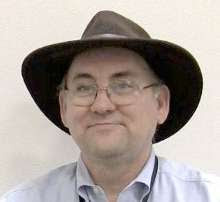 I hope you will find at least one of these links interesting and useful. CeeBot is a brand new concept that will introduce you to programming while having fun. The programming language you'll use is very similar to those used by professional programmers to develop their products. CeeBot introduces many modern concepts found in today's most popular environments like C++, C# or Java. After teaching you the syntax of CeeBot, progressive exercises will lead you to use important concepts such as variables, loops, conditional branching, functions, classes, objects, etc. OurCourts – This is a new project that will eventually include an educational game about the US Court system Retired Associate Justice Sandra Day O'Connor is involved in this project. Right now it holds a lot of useful links and information but there should be more still by the fall. Randy Guthrie interviews a student who will be an intern at Microsoft this summer. I hope he does a follow up after the summer. Randy also has a lot of resources for students here. 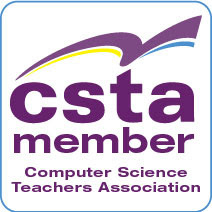 Chris Stephenson of the CSTA blogs about the recent meetings that CSTA ran to discuss K-12 computer science outreach with a number of universities and colleges. She discusses the various levels of support that universities are (or in some cases are not) putting into this effort. On a related topic there is information about Microsoft Tech Trends events here. Tech Trends events are one way that Microsoft is working with colleges, universities and in some cases high schools to create and run events to get students interested in the CS and IT fields of work and study. May was an interesting month for me in several ways. One area that I struggled with though was blogging. Perhaps it is because the school year is winding down but I could not seem to stay on a roll. Still there were a couple of posts that received a lot of traffic. XNA was big because of the Zune announcement. And people seemed to be interested in projects for use in their classrooms. I have a long post about a good sized group project that I want to propose. It will be coming later this week if I finish writing it. The top discussion item was on code optimization. Speaking of the Zune and XNA connection that post was here. In a bit of irony a lot of the traffic seemed to come from the trackback to the XNA blog announcement where there is really more original information. Though to be fair to myself I did link to other sources of information. Speaking of more links, information about an online tutorial for Zune/XNA is here. In the area of computer science programming project ideas I had one post (here) that linked to a number of good projects by someone else. But I also had a complete description of a code breaking program that got a lot of traffic. Lots of that came from search engines but even more of it game from Dzone. My thanks to the person who listed it and the others who voted for it. I need to figure out how to add Dzone links to my blog like the Digg one I have a Windows Live Writer plug-in for. More project ideas are coming. In fact my goal for the summer is to develop a bunch of new programming project ideas. I had a number of useful things for people using Microsoft Office as well. Here and here I talked about tools that make it easier to find things on the new Office 2007 ribbon interfaces. If you are teaching (or just using) Office 2007 those are tools you’ll want to check out. June is now off to a running start. Yesterday marked five years I have been working at Microsoft. The time has flown as I continue to have a good time working with great people – inside and outside of Microsoft. The best is yet to come I think.